This article examines Federal Circuit case law analyzing validity challenges to method of treatment patent claims where the claims at issue are alleged to recite an inherent property of a method or molecule taught in the prior art. While Federal Circuit case law challenging method of treatment claims on inherent anticipation grounds is generally globally consistent and reasonably straightforward, the court’s inherent obviousness case law is less so. In Bristol-Myers Squibb Co., the preamble of the claims under consideration recited “[a] method of treating a cancer patient to effect regression of a Taxol-sensitive tumor, said method being associated with reduced hematologic toxicity….” Bristol-Myers Squibb Co. v. Ben Venue Labs, Inc., 246 F.3d 1368 (Fed. Cir. 2001). The patentee Bristol-Myers Squibb argued that these clinical properties constituted a new use of a known process and the resultant new properties. The court held that “the claimed process here is not directed to a new use; it is the same use, and it consists of the same steps as described [in the prior art].” Id. at 1376. In its discussion, the court relies on In re May. 574 F.3d 1082 (CCPA 1978). In In re May, the court held that language in the preamble of the claims under consideration reciting that patients will not develop physical dependence (i.e., non-addictiveness) when undergoing a treatment regimen otherwise taught in the prior art does not avoid anticipation because non-addictiveness constitutes merely a newly discovered result of a known method directed to the same use, i.e., treating pain with an analgesic. Id. at 1090. In Bristol-Myers Squibb Co., the court held that, like in In re May, the patentee was attempting to claim the inherent result of a known process; i.e., the efficacy and reduced toxicity of three-hour paclitaxel infusions in cancer patients. Bristol-Myers Squibb Co., 246 F.3d at 1377. The court held that such inherent claim limitations did not impart patentability to the claims. Id. In Perricone, certain of the patent claims at issue were directed to methods of treating skin sunburn, and methods of treating damaged or aged skin, by topically applying to the skin a composition that was known in the prior art. Perricone v. Medicis Pharm. Corp., 432 F.3d 1368 (Fed. Cir. 2005). The allegedly anticipating reference disclosed topical application of the known composition to the skin. Id. at 1376. The one group of claims that the court declined to find anticipated were directed to topical application of the composition to sunburned skin. Id. at 1378-79. The court reasoned as follows: “Claim 1 of the ‘693 patent recites a new use of the composition disclosed by Pereira, i.e., the treatment of skin sunburn. The district court’s inherent anticipation analysis for this claim contains a flaw. The disclosed use of Pereira’s lotion, i.e., topical application, does not suggest application of Pereira’s lotion to skin sunburn. In other words, the district court’s inherency analysis goes astray because it assumes what Pereira neither disclosed nor rendered inherent. Because Pereira does not disclose topical application to skin sunburn, this court reverses the district court’s holding that Pereira anticipates claims 1-4 and 7 of the ‘693 patent.” Id. In Bristol-Myers Squibb Co., In re May, and Perricone, the court focuses on the physical steps of the claimed method. If those physical steps were disclosed in the allegedly anticipating prior art reference, no effect thereof (even if previously unknown) will save the claims from an inherent anticipation finding. Other Federal Circuit case law is consistent with this approach. See, e.g., King Pharm., Inc. v. Eon Labs, Inc., 616 F.3d 1267, 1276 (Fed. Cir. 2010) (“As taught by the ‘128 patent, the only steps required to increase metaxalone’s bioavailability are (1) ingesting metaxalone (2) with food. These steps are undeniably disclosed by the prior art. An increase in metaxalone’s bioavailability is, therefore, an inherent aspect of the prior art. In other words, the increase in metaxalone’s bioavailability is the natural result flowing from the [prior art’s] explicitly explicated limitations. Accordingly, claim 1’s preamble is inherently anticipated.”) (internal quotations omitted); see also In re Montgomery, 677 F.3d 1375 (Fed. Cir. 2012). The Federal Circuit’s approach to inherency in the context of method of treatment claims differs significantly, however, when inherent obviousness is argued. For example, in Par Pharm., Inc. v. TWi Pharm., Inc., 773 F.3d 1186 (Fed. Cir. 2014) (“TWi I”), certain of the claims at issue were directed to “[m]ethods of increasing the body mass in a human patient suffering from anorexia, cachexia, or loss of body mass, comprising administering to the human patient a megestrol formulation, wherein … after a single administration in a human subject of the formulation there is no substantial difference in the Cmax of megestrol when the formulation is administered to the subject in a fed versus a fasted state….” Id. at 1189. Other claims at issue recited other food effect limitations. The Federal Circuit vacated the district court’s finding that the food effect limitations were inherently obvious due to the district court’s having applied too liberal of a standard. Specifically, the Federal Circuit held that “[a] party must … meet a high standard in order to rely on inherency to establish the existence of a claim limitation in the prior art in an obviousness analysis – the limitation at issue necessarily must be present, or the natural result of the combination of elements explicitly disclosed by the prior art.” Id. at 1195-96. The Federal Circuit held that the district court’s reasoning was flawed in that it ignored the specific food effect limitations recited in the claims at issue: “The district court’s broad diktats regarding the effect of particle size on bioavailability and food effect are not commensurate with the actual limitations at issue. While it may be true that a reduction in particle size naturally results in some improvement in the food effect, the district court failed to conclude that the reduction in particle size naturally results in ‘no substantial difference’ in the food effect.” Id. at 1196 (vacating and remanding “for the district court to determine if TWi has presented clear and convincing evidence that demonstrates the food effect as claimed is necessarily present in the prior art combination.”). On remand, the district court held that the food effect limitations were “necessarily … present, or the natural result of the combination of elements explicitly disclosed by the prior art.” Par Pharm., Inc. v. TWi Pharm., Inc., 120 F.Supp.3d 468, 470-71 (D. Md. 2015). The Federal Circuit subsequently issued a Rule 36 affirmance. Par Pharm., Inc. v. TWi Pharm., Inc., 624 Fed. App’x 756 (Fed. Cir. 2015). The Federal Circuit’s holding in TWi I raises several questions. For example, does the inherency analysis, at least in an obviousness context, depend on whether the claim language said to be inherent is recited in a more general manner in the preamble of the claim versus more specifically in the body of the claim? In TWi I there seems to be an indication that where the inherent property is recited with specificity in the body of the claim, a finding of nonobviousness may be more readily obtainable. Another question worth considering is whether TWi would have been decided differently if anticipation were argued instead of obviousness? It would certainly seem so, as there is no indication in the case law that a patentee can avoid an inherent anticipation finding if the inherent property is recited with a higher degree of quantitative specificity. The Federal Circuit’s approach to inherent obviousness in TWi I seems to be directly contrary to the court’s approach in In re Huai-Hung Kao, 639 F.3d 1057 (Fed. Cir. 2011). As in TWi I, In re Kao involved method of treatment claims reciting food effect limitations. Representative claim 8 of U.S. Application No. 12/167,859 read as follows: “A method for treating pain in a human subject in need of acute or chronic pain relief, comprising the steps of … administering the dosage form to the subject, wherein the oxymorphone Cmax is at least about 50% higher when the dosage form is administered to the subject under fed versus fasted conditions.” Id. at 1063. The Federal Circuit held that the claims were properly rejected as inherently obvious, reasoning that “[s]ubstantial evidence supports the Board’s finding, based upon the specification, which confirms that the claimed ‘food effect’ is an inherent property of oxymorphone itself, present both in controlled release and immediate release formulations of that drug.” Id. at 1070. Thus, in TWi I and In re Kao, the Federal Circuit’s inherent obviousness analyses concerning the pharmacokinetic limitations of the claims at issue appear to be inconsistent with one another because in both cases the food effect limitations were recited with quantitative specificity, but in In re Kao the court held that this claim limitation did not impart patentability while in TWi all indications are that the court was inclined to reach the opposite outcome. One take on this apparent inconsistency is that In re Kao reflects the proper analysis and outcome at least because the language in TWi could be viewed as dicta given that the Federal Circuit did not reverse by rather vacated and remanded to give the district court an opportunity re-analyze the issue in light of the Federal Circuit’s guidance. This position finds further support in the Federal Circuit’s Rule 36 affirmance after the district court on remand again found the claims at issue inherently obvious. Sandoz involved claims directed to methods of treating glaucoma that recited limitations comparing the efficacy and tolerability of the drug product formulation at issue in the case of a prior art formulation. Allergan, Inc. v. Sandoz Inc., 796 F.3d 1293, 1300 (Fed. Cir. 2015). The court paid short shrift to defendants’ inherency arguments, holding as follows: “The unexpected properties of the [formulation recited in the claims], even if inherent in that formulation, differ in kind from the prior art, thereby supporting a finding of nonobviousness. This is not a case where the claims merely recite the unknown properties of an otherwise obvious formulation. … Here, the previously unknown and unexpected properties of a new and nonobvious formulation constitute additional, objective evidence of nonobviousness.” Id. at 1307 (internal citations omitted). To the extent that the court is saying here that nonobviousness of the claimed methods turned on the nonobviousness of the underlying formulation exhibiting the improved properties, this seems non-controversial enough. 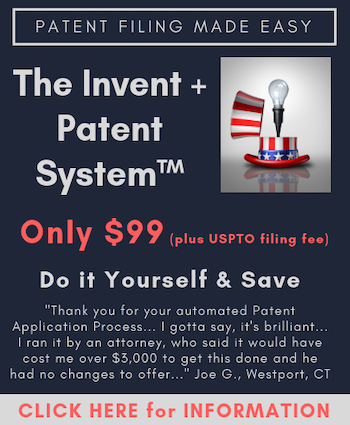 Certain other of the patent claims at issue were directed to the underlying formulation itself, so perhaps a double-patenting argument would have carried weight (defendants/appellants did not argue double-patenting). Indeed, it is not unusual for double-patenting arguments involving method of treatment claims to rest in part upon an inherency argument. See, e.g., Eli Lilly & Co. v. Barr Labs, Inc., 251 F.3d 955 (Fed. Cir. 2001) (finding no patentable distinction as between claims drawn to methods of treating anxiety by administering fluoxetine and claims drawn to the underlying mechanism of action for such treatment methods). Separately, the Sandoz case highlights the point that, even where a finding is made that a claim limitation constitutes an inherent property of a known formulation, that allegedly inherent property may still constitute objective indicia of nonobviousness where unexpected and, according to Galderma and its progeny, constitutes a difference in kind as opposed to a difference merely in degree. See Galderma Labs, L.P. v. Tolmar, Inc., 737 F.3d 731, 739 (Fed. Cir. 2015). In analyzing inherent anticipation arguments challenging method of treatment patent claims, the Federal Circuit compares the physical steps recited in the body of the claim to that which was disclosed in the prior art. If each claim element is taught by the single prior art reference argued to be anticipatory, then under governing Federal Circuit case law, the patent claim will be found to be anticipated and recitation of even a new and unexpected property will not save the claim. When method of treatment claims are challenged based on inherent obviousness, on the whole, this same approach applies. Patentees could, however, reasonably rely upon TWi I in support of their nonobviousness position where the allegedly inherent properties are recited in the claim with quantitative specificity. In all instances, new and unexpected clinical properties may be relied upon as objective indicia of nonobviousness. Note that second medical use claims fare much better in the UK and Europe – for known drugs new indications, new dosage regimes and new patient groups can provide patentability provided that necessary test evidence to support and make credible the claimed new benefit is available. Do you see an issue with the US not living up to its treaty commitments in light of your view of UK and Europe protections? In reply to your query, I made just this submission in my amicus brief to the Supreme Court in Recognicorp ,https://www.supremecourt.gov/DocketPDF/17/17-645/22427/20171204145518298_17-645.amicus.final.pdf, arguing that the decision was irreconcilable with the well-known EPO Appeal Board decision in VICOM and that the eligibility of claims to image processing in the two jurisdictions had become different contrary to the TRIPS agreement. Similar arguments have been made in a number of amicus briefs that I have authored in the last few years before the Federal Circuit either personally or on behalf of professional institutions of which I am a member. I should also have mentioned the CIPA brief to the Supreme Court in Ariosa v Sequenom http://www.scotusblog.com/wp-content/uploads/2016/04/15-1182.amicus.final_.pdf and the EPI brief in the same case http://www.scotusblog.com/wp-content/uploads/2016/04/15-1182-ac-Institute-of-Professional-Representatives-Before-the-Europe….pdf, for both of which I was lead author and both of which consider TRIPS compliance. TRIPS, it may be noted, was a US-inspired treaty setting out widely accepted legal norms. The US courts have adopted interpretations which differ from these norms, contrary to the 200-year old opinion of the Supreme Court in the Charming Betsy case. The amicus briefs in Ariosa included Eli Lilly, Intellectual Property Owners, BIO, the New York IPLA, Novartis, Microsoft, 19 law professors, the Federal Circuit Bar association and the Boston Patent Law Association and a number of others. Given the number and outstanding quality of these many amicus briefs, the importance of the case and the importance and outstanding benefit of the invention to expectant mothers it is almost beyond belief that the Supreme Court did not grant the petition and hear the case. To say that it is disappointing that the efforts of the many outstanding individuals and organizations, mainly acting purely pro bono and in the public interest, to sort out the problems of section 101 have achieved so little would be the grossest understatement.